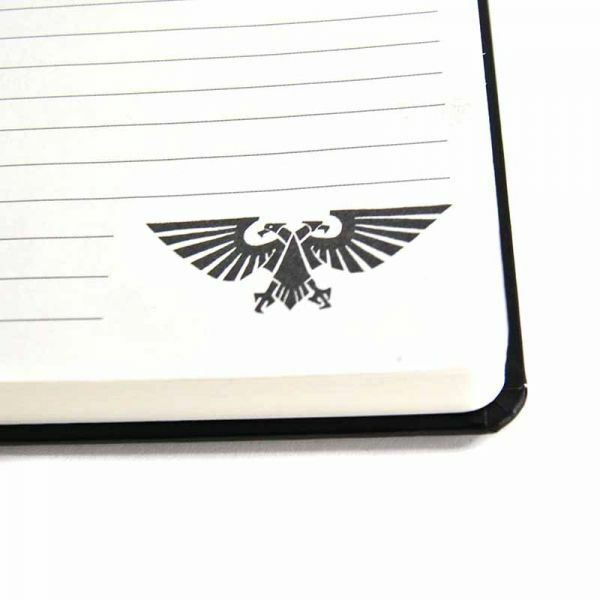 This Warhammer A5 notebook is perfect for battle plans! 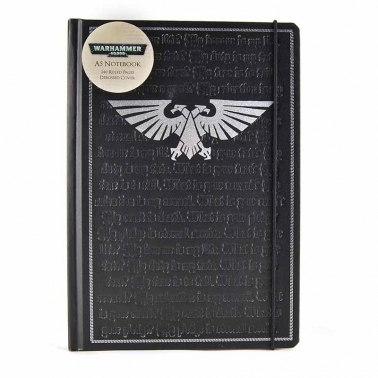 The design features the Aquila symbol in silver metallic detailing and the Space Marine Pledge in debossed detailing on both the front and back covers. 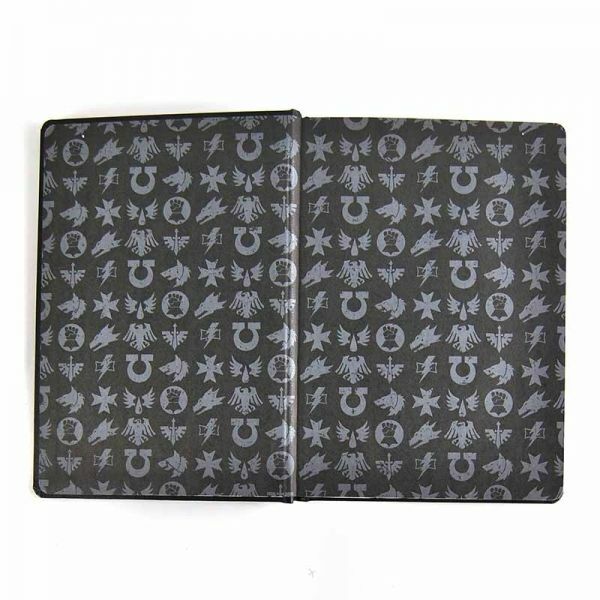 It benefits from a leather-look hardback cover, chapter badges in a repeated print on the first inside pages, 240 ruled 80gsm cream pages with corner Aquila symbol detail, a page marker ribbon and elastic band. 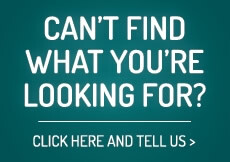 The attractive design makes this a standout product.